Designed with your comfort and style in mind, Ridgemar Commons offers 1 and 2 bedrooms in a cozy atmosphere with resident conveniences and stellar customer service. Located near the corner of SW 34th and Archer Road, this community is walking distance to the newly renovated Butler Plaza which hosts Gainesville's favorite shopping and dining with stores like Target, two Publix's, and Total Wine. With such a prime location near UF Health (Shands), The VA, and the University of Florida, Ridgemar Commons offers a great rental opportunity for employees, residents, nurses, physicians, graduate students and more! Come home to well thought out floor plans with recent upgrades or explore the well-kept community amenities including a resort-style pool, dog park, and 24-hour fitness center. Schedule a tour to see what makes Ridgemar Commons so exceptional! 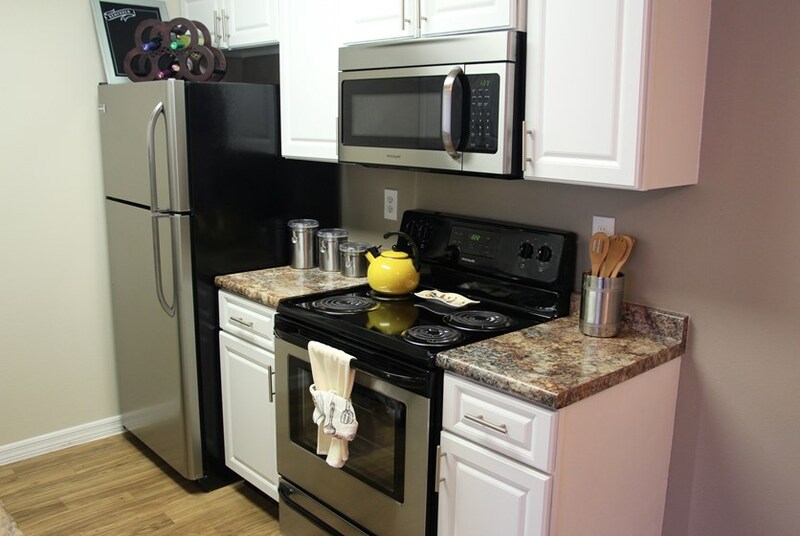 Separate laundry room with full size washer and dryers included in every apartment! Reduced Application Fees for Preferred Employers & Students! We've sent your message off to Ridgemar Commons. If you'd like to chat with the staff immediately, feel free to call them at (352) 415-9495. If you would like to chat with the Ridgemar Commons staff before your tour, you can call them at (352) 415-9495. We're checking availability for you now! Someone from the leasing team will contact you shortly. Meanwhile, please feel free to call Ridgemar Commons at (352) 415-9495.